During my last check-up I was exactly on the 4 pound mark! Meaning I gained 4 pounds for the month which was the maximum limit! Whew! Well, this craving may not be helping me at all for this month. 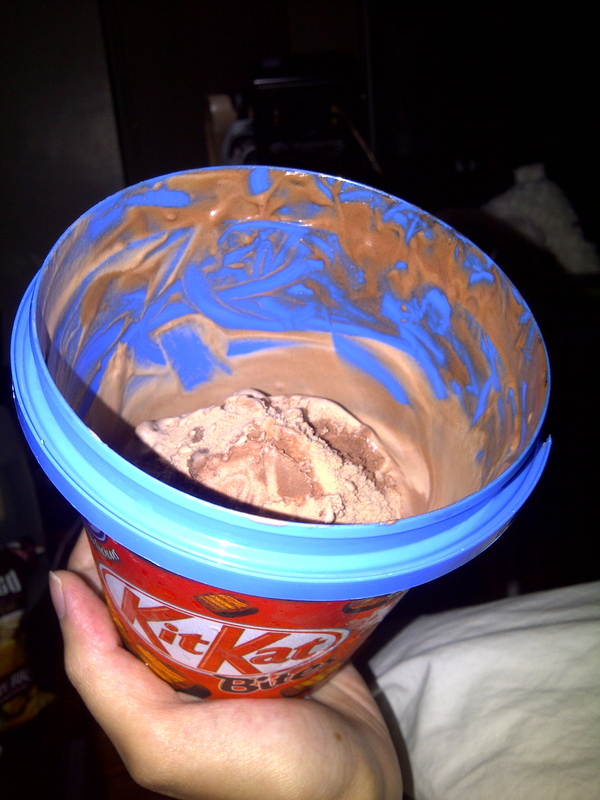 A friend of mine told me about the Kitkat Ice Cream of Nestle. So I tried it. Something different. It had 2 types of chocolate ice cream, then small kitkat balls inside. 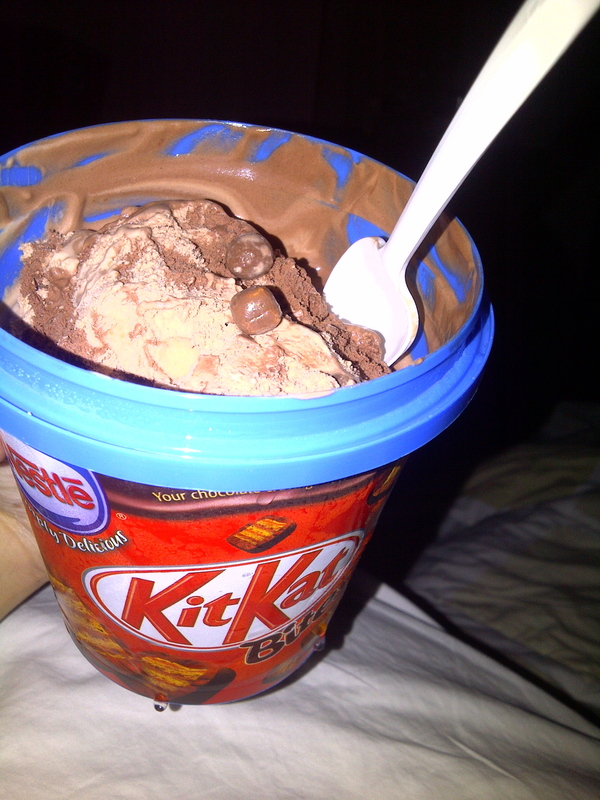 Here’s the 2 colored chocolate ice cream and the kitkat balls. Just imagine a kitkat bar rolled into a tiny circle. Me vs. Cooking – Going for the Meat! I like all of the post under this category: Pregnancy Craving! I can clearly recall all my cravings when I was pregnant. But since I gained too much weight so therefore I have to control my food intake especially sweets! Arrgghh! I was so frustrated that time! Haha! But anyway, it’s always nice to look back to good memories, right?